Mark Tanning has over 30 years of Human Resources senior leadership experience in a wide array of industries and countries. 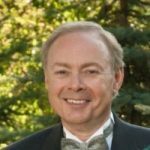 Mark has been a senior HR leader at Microsoft Corporation, University of Minnesota Health, H. B. Fuller Company, Glidden Latin America, and Minnesota International Medicine. Mark has over 25 years of experience as the primary decision maker for employee healthcare plans and for providing benefits to large and diverse workforces. Mark’s background also includes extensive international experience and he has held corporate HR leadership positions in 40 countries. Currently Mark is the Senior VP of Client Solutions and Marketing for DZee Healthcare Solutions, an analytics and decision support healthcare technology company located in Denver. Mark’s role is to design and support healthcare product offerings that solve key client benefitting issues and opportunities, and while fully leveraging the capabilities of advanced technology.